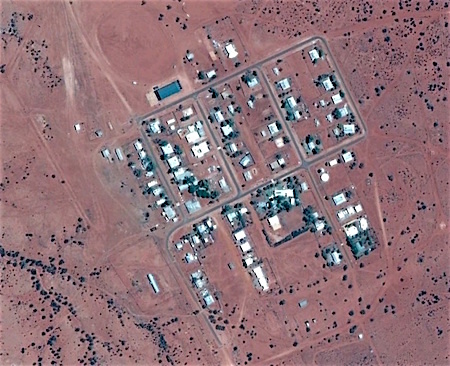 The taxpayer funded Catholic Care in Alice Springs has not provided answers to questions from the Alice Springs News Online following serious claimed shortcomings of a work for the dole scheme at Finke (pictured) and Santa Teresa. A spokesperson for the Department of Prime Minister and Cabinet responded but made no reference to Catholic Care, did not answer any questions about it, but merely outlines general procedures by the department for compliance and “monitoring … with greater contact and scrutiny on poorer performing providers”. Significantly, the department did not answer our question whether there is “an independent evaluation of the Catholic Care program, and if so, by whom”. We initially put the questions, contained in our report of November 25, to Catholic Care and when we received no reply we forwarded them to the department on November 30, with the request to answer those questions “that relate to your role as the funding giver”. “The Department of the Prime Minister and Cabinet closely monitors the performance and compliance of all Community Development Programme (CDP) providers on an ongoing basis. “This includes six monthly formal Provider Performance Reviews and regular compliance checks to ensure that providers are delivering CDP in line with their requirements. “This monitoring is subject to a risk-based approach with greater contact and scrutiny on poorer performing providers. “The Department’s network of regional staff work with all providers, but particularly those that need to improve their service delivery, to ensure that job seekers are provided with the required services to support them in their journey to employment and allow them to meet mutual obligation requirements set out under Social Security Act 1991. “This includes checking on activities and attendance of participants as well as the efforts providers are undertaking to support people into employment. “Under the CDP 85% of eligible job seekers have been placed in work-like activities, up from 45% at the end of the Remote Jobs and Communities Programme (RJCP). The Alice Springs News Online will be asking further questions.